New technologies, new factories… Are we prepared for the 4.0 Era? The Fourth Industrial Revolution will have to draw a new relationship between people and machines. This comes as no surprise: Throughout History we have witnessed several key processes that have totally changed the way we produce, work and, ultimately, live. At the end of the XVIIth century, steam engines transformed the world introducing a rural society into the industrial and social processes. 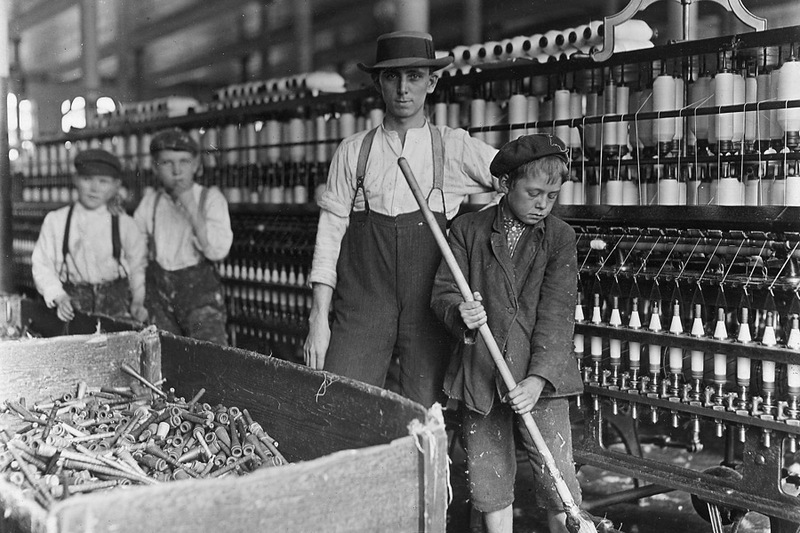 The First Industrial Revolution started a long road we are currently travelling on, the end of which is still a long way off. At Protec Arisawa, our expertise is the design, development and manufacture of premium fibre-reinforced pressure vessels and we are leaders in our field of activity. As such, we cannot ignore this new approach to industrial procedures and should take part in it. Going back to History, it is in the period spanning from 1870 to 1914 when the use of steel and oil as well as electric power opened the gate to mass production. Major technological advances during this period and the following decades led to the Third Industrial Revolution, or Digital Revolution: An era that starting in the late 1970s and is still ongoing. The advancement of technology from analogue electronic and mechanical devices to the digital technology available today made computers the universal tool for almost all productive sectors. 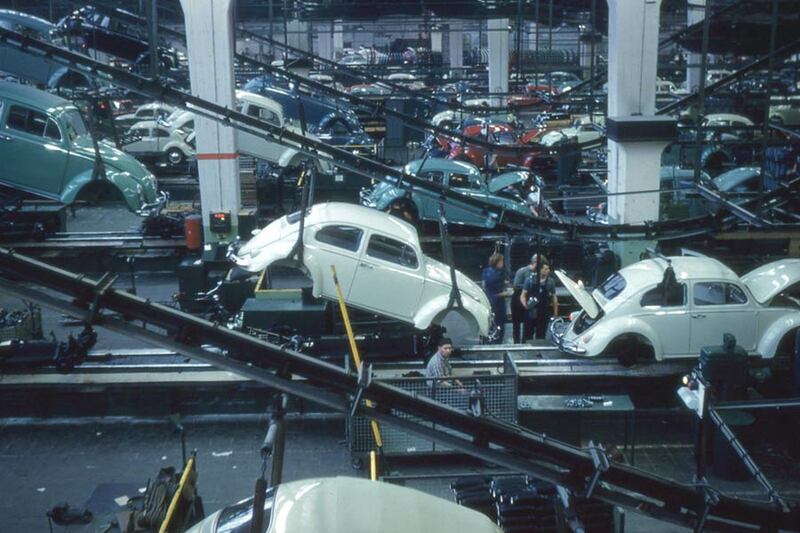 The use of electronics and information technology to automate production brought us where we stand nowadays. 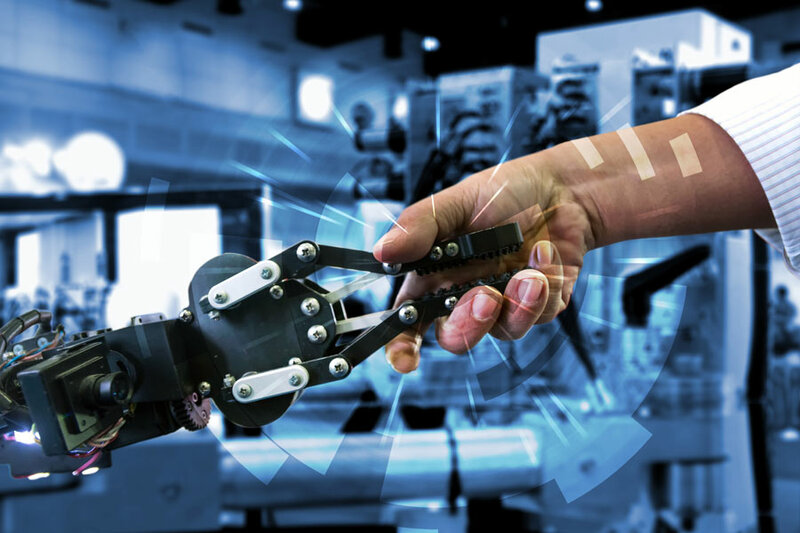 This time, the robots integrated into cyber-physical systems will be responsible for a radical transformation: Welcome to the Fourth Industrial Revolution. Also called 4.0, this new robotic era we are living in follows the other three transformative historical processes. 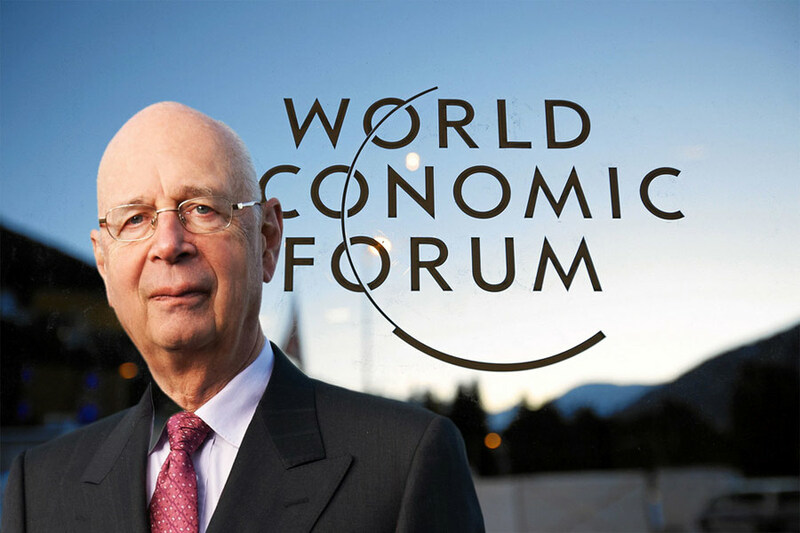 The fourth industrial revolution is an expression coined by the founder and leader of the World Economic Forum, Klaus Schwab, referring to the intense technological changes that have been modifying our productive and social processes since the middle of the last century: A fusion of technologies that blur the lines between our established physical spheres, both digital and biological. Schwab himself declared that humanity is “on the brink of a technological revolution that will fundamentally alter the way we live, work, and relate to one another. In its scale, scope, and complexity, the transformation will be unlike anything humankind has experienced before “. According to Schwab and some other experts, now we have the opportunity to shape this Fourth Industrial Revolu­tion, which will dramatically alter how we live and work. “The future of employment will be made of jobs that do not exist yet, in industries using new technologies, under planetary conditions that no human being has ever experienced,” sums up David Ritter, CEO of Greenpeace Australia / Pacific, in a column about the Fourth Industrial Revolution for the British newspaper The Guardian. So, what is this huge change about and why do some people identify it as a genuine revolution? If we follow the theorists’ main assumptions, it is not single and brilliant innovations that will decide our future productive processes, but the meeting of all those developments carried out during the last decades and still to come. In that sense, this trend represents a paradigm shift, instead of one more step in the frenzied technological race. 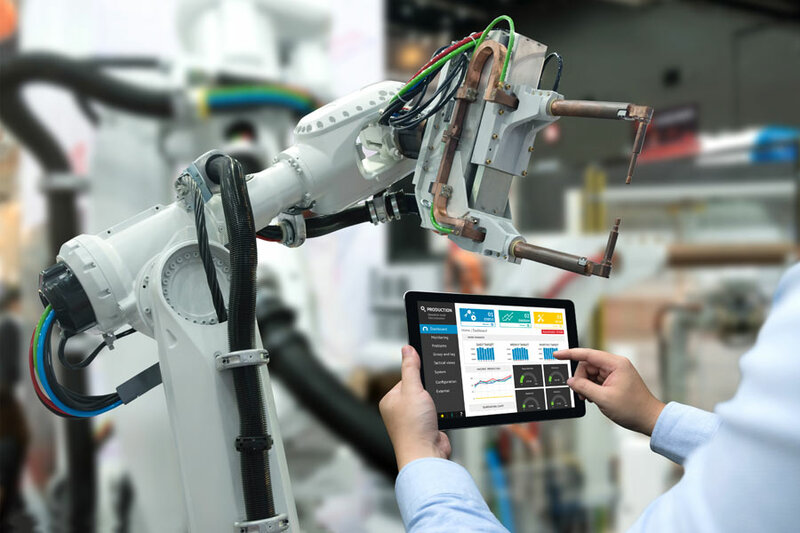 We can be sure about one thing: In our current 4.0 factories, automation is already being carried out by cyber-physical systems, made possible by the internet of things and cloud computing systems. These cyber-physical systems combine both physical and tangible machinery with digital processes, acquiring the capacity to make decentralized decisions and cooperate with humans, through the evolving technology developed around the internet of things. What we will see, say theorists, is an “intelligent factory” in a strictly literal sense. However, this fantastic cyber-model is already posing some worrying issues. Indeed, not everyone sees the future with optimism: The surveys reflect global concerns of entrepreneurs for “technological Darwinism”, in which those who do not adapt will not survive. Furthermore, if this happens at full speed, as Fourth Industrial Revolution enthusiasts are pointing out, the effect can be as quick and devastating as the one generated by the third revolution. As the global leader in creating and manufacturing fibre-reinforced plastic pressure vessels for membrane filtration systems, Protec is committed to this new 4.0 era: We are a forward-looking company and we possess the technology, resources and motivation to plunge into change. Using innovation and state-of-the-art manufacturing processes, we strive constantly to improve our products, modernizing our factories and services at the pace of change. New deals, new projects and a significant success achieved through innovation, quality commitment and hard work. Let’s have a look at the 2017 review: in many ways, it has been a great and profitable year for Protec Arisawa. We are proud of our activity and results, as we have improved our market share in strategic areas and new geographies, especially in the EMEA region. The rise in global demand for membrane filtration systems indicates that Protec Arisawa will undoubtedly benefit from this new network expansion strategy. Besides, our global strategy is supported by an enhanced international presence: this year Protec was present at the IDA World Congress (São Paulo) and Aquatech Amsterdam, the two main events gathering the latest trends in new water treatment technologies, innovations related to hydrographical applications and all the new techniques for water purification processes. Protec’s state-of-the-art expertise will be present in new markets and major challenges. Our presence at this kind of meetings will continue in 2018: in future scenarios, desalted water will support a wide range of economic and human activities in coastal areas, fulfilling new and innovative functions. The IDA World Congress and Aquatech are perfect scenarios to expand knowledge in the latest emerging desalination and water reuse technologies, where the most important actors share their knowhow. 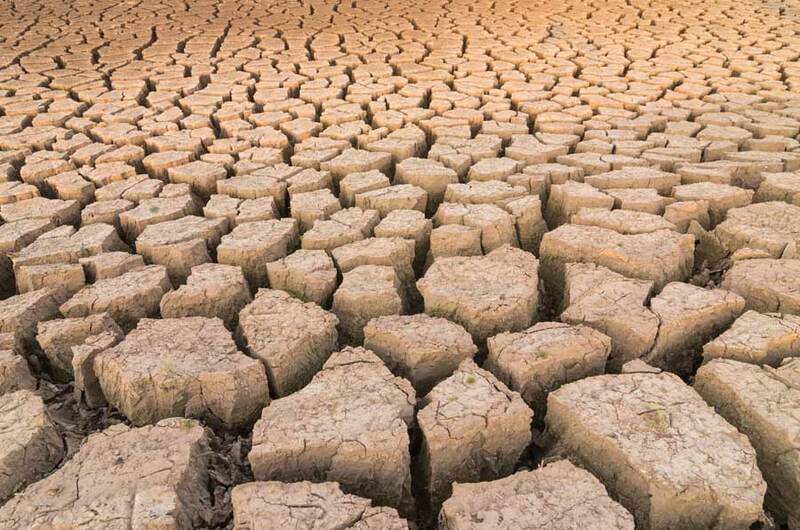 Extensive droughts and climate changing conditions create new commercial challenges in several markets affected by critical hydrographical conditions. However, we have once again reinforced our leadership position in pressure vessels for desalination industry with major hits in Middle East and Asia, an area where Protec will deploy its unique professional expertise in several mega-projects. New clients and new business are waiting us! The Middle East and Asia region is an important future market for desalination processes due to the growing number of membrane desalination plants in the region, especially in Saudi Arabia, where Protec’s membrane filtration systems have already set foot. In addition, climate changing conditions in North America and Southern Europe anticipate a market expansion for all technologies related to water purification processes. Technology advancement in increasing efficiency of water filtration will be key to winning shares of this new market. However, innovation never stops: Protec has an important client list of already awarded orders. This promising new business, as well as ongoing projects, will allow us to continue growing in 2018 in a solid and sustainable manner. But that’s not all! We remain focused on R&D activities in close collaboration with our North-American and Japanese colleagues. Finally, our strong daily commitment ensures the highest quality in all our products: through innovation and using the latest technologies, we continue working every day to improve the quality of our products and services for all our customers and partners. Come and visit us! Together, we can explore every possible solution to develop the right pressure vessel for each specific case and field of action. As a conclusion, Protec is proud of all the hard work, commitment and motivation deployed by the whole staff. We close 2017 with a very strong backlog position that will make our growth a reality in 2018. Our confidence and optimism for the year to come are live up to our expectations. Using innovation and technology, we strive constantly to improve our products and services and offer the best quality to our customers, enhancing reliability and effectiveness. Southern Spain and the Mediterranean coasts are the most requested holiday destinations by European citizens. However, a huge part of Southern Europe could look like a desert unless global warming is held only 1.5 oC above pre-industrial levels. We are on the edge. That’s the conclusion of a new study published in the journal Science titled “Climate change: The 2015 Paris Agreement thresholds and Mediterranean basin ecosystems”. If we continue to unabatedly produce greenhouse gas emissions and global warming reaches 2 oC over the natural temperature, by the end of the century desertification could conquer many areas around the Mediterranean, modifying and destroying ecosystems in a way unseen in many thousands of years. This negative trend is having great impact on many regions of Spain, Italy and Greece: the level of their hydrological reserves has been falling since spring, and the majority of the Spanish reservoirs hardly reach 30-40% of their capacity. 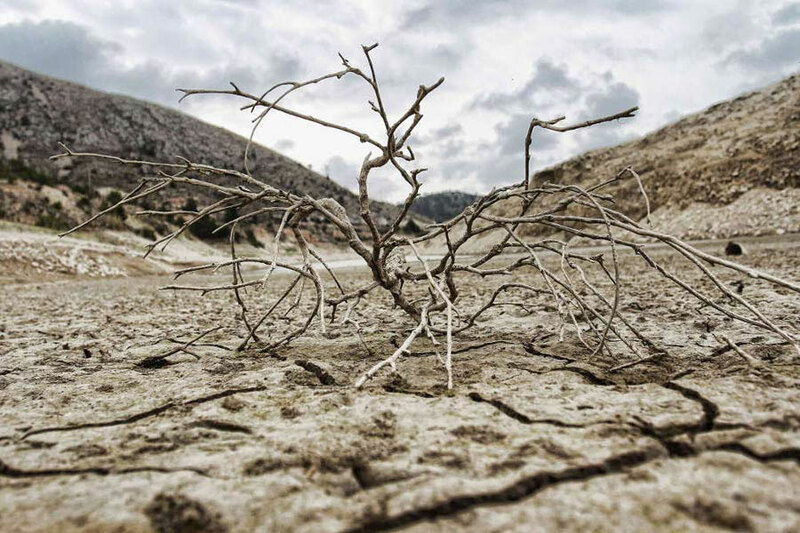 Rainfall continues below its normal level, and the first signs of water scarcity have already appeared: restrictions on irrigation were multiplied last summer in the main Mediterranean agricultural basins. In addition to the foreseeable long-term consequences of water scarcity, the increase of the average temperature and prolonged droughts in Southern Europe is setting a scenario prone to large fires propagation. These predicted changes are boosting the duration and severity of the fires, adding another main cause to desertification. The danger of fires could spread northward in the next decades, involving the centre of Europe. In fact, last October the Italian region of Lombardy requested the government to declare a state of emergency due to forest fires enhanced by prolonged droughts, which also devastated hundreds of hectares in the neighbouring Piedmont area. According to a report issued by the European Environment Agency in 2016, these violent heat waves will probably be more frequent and lasting in Europe in the next years. If greenhouse gas emissions do not decrease, extreme heat events harming people, agriculture and ecosystems will appear every two years from 2050. It seems that the southern and oriental regions of the European continent will more likely suffer the highest temperatures, posing serious risks to health, especially for people living in low-altitude river basins in the Mediterranean area. Another analysis by the Spanish government anticipates that 80% of the Iberian Peninsula could have turned into a desert by 2100. However, this kind of studies that predict aridity growth, desertification and temperature rising contrast with another type of forecasts, showing that Northern Europe is clearly becoming a more humid area, where floods in winter could be more frequent. Urban areas, where four out of five Europeans live, are strongly exposed to heat waves, floods or sea level rise and share a generalised lack of attributes to successfully face climate changing episodes, a hypothetical context that continues to gain prominence day after day. In this particularly worrying scenario, desalination is called to be a future solution for human sustainability in a large number of European territories in the next decades. Protec Arisawa is well aware that desalted water is expected to fulfil new and innovative functions, especially as the support of a wide range of economic and human activities in coastal areas. Through innovation, technology and research, Protec is the global leader in creating and manufacturing fiber-reinforced plastic pressure vessels for membrane filtration systems used in desalination processes. We are on the move! After attending the IDA World Congress with a maximum quality high-tech offer in pressure vessels for water purification, Protec Arisawa will also be present in Aquatech Amsterdam: the world leading trade exhibition for process, drinking and waste water, representing a unique concept in Europe with a 100% focus on water. 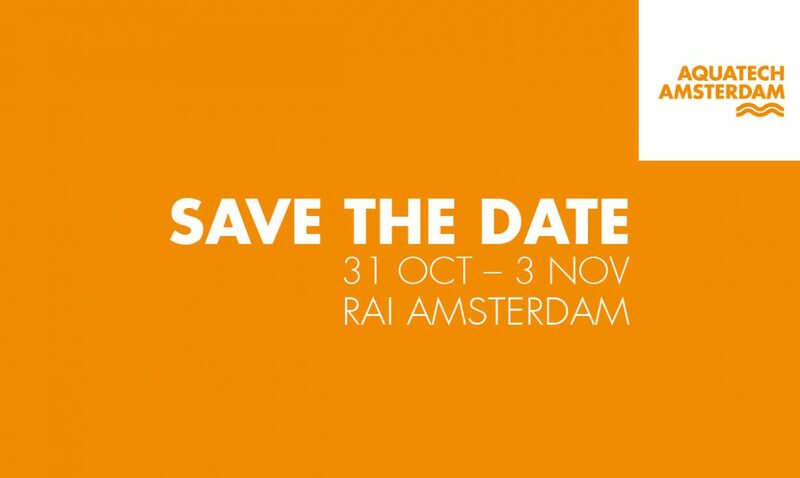 From October 30th to November 3rd, Protec’s professional delegates will visit Netherland’s flagship city for this major event. No less could be expected: over 21,000 experts from 140 countries and 900+ exhibiting companies will gather in the Dutch metropolis to do business, to network and, above all, to discover innovations. As part of the Amsterdam International Water Week (AIWW – 1,100 conference delegates), the 26th edition of Aquatech Amsterdam is fully booked and its managers are expecting more participants, exhibitors and visitors than ever. Let’s meet and work together! Protec will be present in RAI Exhibition and Convention Centre: an icon facility that will become for a few days the epicentre of water technology. As a unique field for networking opportunities, knowledge sharing, innovation and new business opportunities, this central platform is a not-to-be-missed exhibition, an ideal stage to showcase the latest developments in fundamental research projects, innovation & development in seawater treatment industry and membrane filtration systems, among many other segments. Our international team will assist clients’, suppliers’ and visitors’ every need. Protec Arisawa is well aware that research and progress in the field of water are vital for the future of a great range of businesses, as well as for a sustainable future of our environment. In this context, Aquatech features an amazing Innovation LAB where early-stage technologies are shown, offering a glimpse of future market and development trends in the water industry. As at the IDA World Congress 2017 recently held in São Paulo, the most important players of the sector will put innovation in the spotlight. Following the exhibition’s innovative commitment, Protec will closely monitor the Aquatech Innovation Award 2017, a prize granted for many years to the most innovative product, service or solution in the water industry. This year, the exhibition organizers have decided to feature a new and highly expected area: the new Desalination Pavilion, powered by the European Desalination Society (EDS). It will be the perfect spot to learn about the latest trends and developments of a water treatment activity that represents a growing market for both governments and the private sector, as water scarcity and water re-use are increasingly pressing issues in many regions around the world. According to the Exhibition Manager, Ms. Marieke Leenhouts, “the latest state-of-the-art solutions will be offered by market leaders in the industry”. Protec will move like a fish in water in this new pavilion complemented with a seminar programme focused on sea water, brackish water as well as industrial waste water desalination. With top-level industrial facilities in Europe and USA, Protec Arisawa is constantly pursuing its efforts to improve products, technologies and processes. Aquatech Amsterdam will just be another step on the path to expand the company’s field of action to more mainstream markets and to prove the quality of the best fibre-reinforced pressure vessel solutions for water purification on the market. “Ensure Your Water Future”: the theme chosen for IDA World Congress 2017 underscores the increasing importance that water desalinization and new reuse technologies play in ensuring a sustainable future-proof water supply. Between the 15th and 20th of October, the bustling city of São Paulo (Brazil) will be the world stage of water treatment: an unbeatable setting where Protec will participate in productive exchanges, informative presentations and stimulating debates around this subject. The International Desalination Association (IDA) is the “world’s leading resource for information and professional development for the global desalination industry”, and their São Paulo meeting will gather up to 1,500 delegates and industry representatives from all over the world. The location for this year’s edition happens to be one of the largest and most dynamic areas in South America, and its election its election is no way a coincidence. According to a large number of experts, desalination is bound to be the engine of human development in Latin American in the next decades. 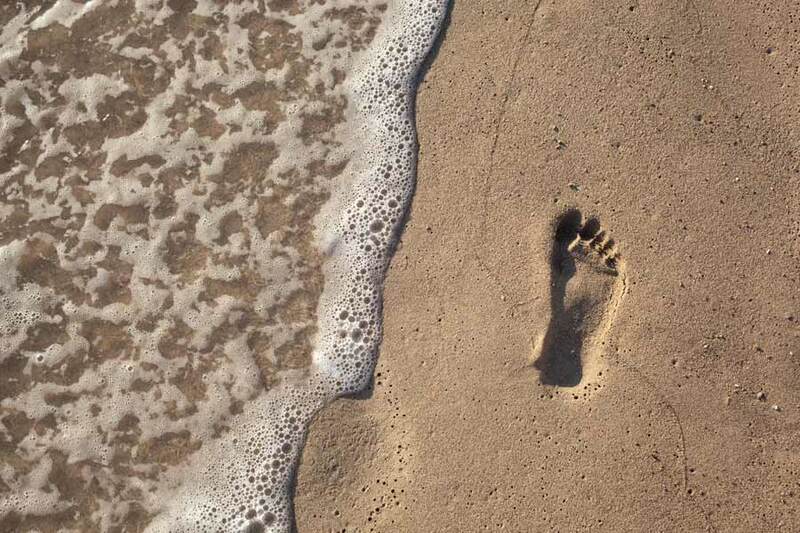 Future climate conditions and the growth of global population are key facts in future scenarios, where desalted water is expected to fulfil new and innovative functions, especially as the support of a wide range of economic and human activities in coastal areas. Once again, Protec’s expertise and reliability will be at the forefront in not-to-be-missed event that offers exceptional opportunities to develop new contacts, expand knowledge in the latest emerging desalination and water reuse technologies, and meet the most important actors of the sector. Come and visit us! Discover Protec’s complete array of options and different solutions for state-of-the-art pressure vessels: meet us at our stand, where a numerous delegation made up of our teams will assist clients’, suppliers’ and friends’ every need. What is the main objective of our visit to Brazil? It is none other than the improvement of our products and processes, in order to offer the best customized solutions in the market. This main purpose is why IDA World Congress is known for: bringing together people, ideas and experiences to expand knowledge, perspectives and deepen our insights. Protec Arisawa’s presence at this huge event is yet another sign of our relentless effort to expand the company’s field of action, and a symbol of our commitment to face the challenges of growing water scarcity, the impact of climate change and an expanding demand for water that traditional resources cannot meet. See you soon in São Paulo! According to the World Health Organisation, almost 700 million people around the world do not have access to drinking water. Even if this figure has improved over the last decades (in 1990, 76% of the population could drink without supply problems, and by 2015 the percentage had raised to 91%), a lot of work remains to be done. Now, the challenge for investigators is finding new and cheap ways to produce drinkable water with minimum resources. For instance, a young Chinese researcher has recently developed a new experimental system that will permit to desalt seawater using only solar energy, thanks to a portable and foldable device made in graphene oxide. This new system designed by Jia Zhu (selected by the MIT Technology Review as one of the most innovating scientists under 35) avoids heat loss by confining water in a “2D” space between an insulating material and an absorbent high-tech layer: water evaporates through the membrane leaving behind salt and other polluting particles. In addition, this desalination device created at Nanjing University in China offers another attractive feature. Its design is based on the amazing properties of new “materials of the future” such as graphene, or more accurately graphene oxide. All the details of this new system have been published in the ‘PNAS’ magazine, a scientific publication of the National Academy of Sciences of the USA; according to Jia Zhu, the graphene absorbent film desalinizes water with an 80% efficiency using solar energy only, without any external intervention and therefore avoiding generation of CO2 or polluting elements. This promising device has been tested at the moment in a laboratory environment, but Zhu assures that the technology is “very scalable”, which could allow building foldable desalinization systems and customized projects. 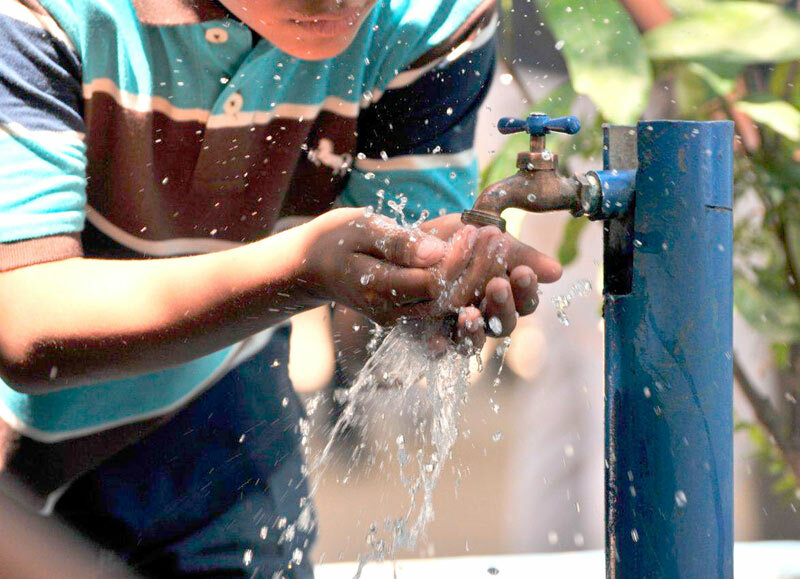 It could open the door to large-scale use in areas where the lack of drinking water is a daily issue. However, portable water purification systems have been a key element throughout history in terms of naval or terrestrial survival. Future climate conditions and the growth of global population make the idea of producing desalination equipment for small communities on a large scale an attractive incentive to launch research into such systems: universalized desalination that could lead to an improvement in living conditions for millions of people. Beside universities research, military science has provided the greatest advances in reducing the weight, size and cost of desalination devices designed for extreme situations. As an example, we have the desalination equipments installed in submarines, ships and lifeboats since World War II. These ingenious devices use different types of processes to obtain potable water for a small group of people in the middle of the ocean: purification through sunlight, intense chemical reaction, reverse osmosis… These water purifiers are usually composed by compact modules designed for confined spaces. Liferafts and survival kits are equipped with the smallest desalinators in the world, weighing only 1 kg (2.5 lbs) and making these devices key elements trusted by militaries and individuals around the globe. There has been impressive progress in this field over the last decade, but it is an overwhelming fact that water scarcity is still a global challenge that underpins the emergence of specific and miniaturized systems customized to fit all kind of situations and climate conditions. Protec’s daily commitment is to explore every possible route to develop new technologies for pressure vessels in their specialized field of action that exceed known limits in terms of quality, reliability and effectiveness. In this spirit, the environmental organization reminded that climate change is accelerating irreversible processes of soil loss, and the commemoration of this day is even further meaningful as the thermometer goes well above 35o C in many European capitals at the end of spring. It is necessary to assimilate the repercussion of human and industrial decisions on climatic environment. The effects of global warming on hydrography, rainfall and water evaporation from great reservoirs and irrigation ponds in dry-temperate climatic areas all over the world are growing problems that cannot be ignored or postponed. It is impossible to deny the appalling similarities between people running away from the threat of war and those who escape from progressive desertification, lack of water, floods and hurricanes. The challenge of making an accurate economic assessment of the agricultural, industrial and human use of water, as well as searching for possible alternatives for its management by upcoming generations, are unavoidable steps to quantify their impacts, not only at present, but also for the future. Different water management systems can be used to avoid the overexploitation of aquifers and water flows in arid regions, involving various types of economical and environmental impacts. 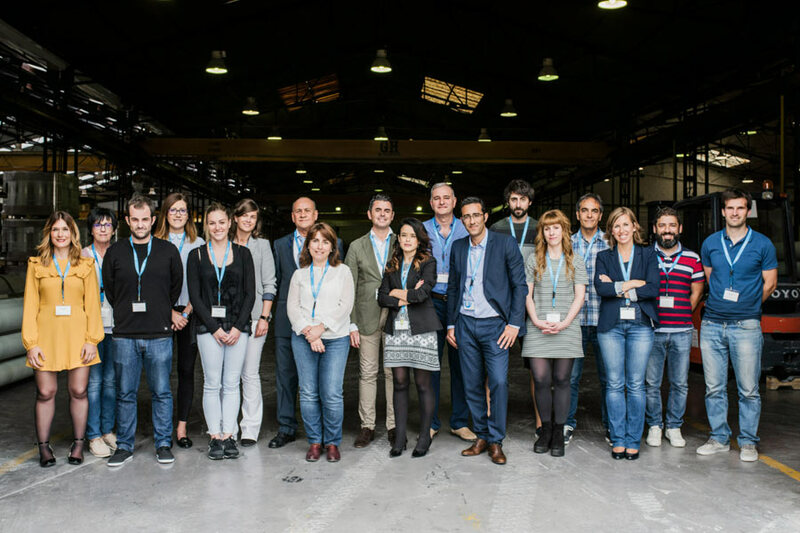 Today, in this new way of understanding water and its real value, special attention is being paid to the new era of desalinated seawater accessibility. Among various action measures proposed by the UN to slow down the expansion of desert areas, modern desalination techniques have turned real the possibility to significantly relieve the pressure of water usage on underground resources, especially in coastal regions. Desalination’s elevated costs –mainly derived from the energy it requires– have been considerably reduced over the last years thanks to technological progress in this field. Desalted water is expected to fulfill new and innovative functions, especially as a support of a wide range of economic and human activities in coastal areas. Today, reverse osmosis is the most advanced, efficient and environmentally friendly seawater purification technology. Protec Arisawa is aware of the growing weight that innovation represents in finding sustainable ways to supply drinkable water to people living in dry regions. This leading company in producing fiber reinforced plastic pressure vessels for membrane filtration systems is present in desalination’s main scenarios, such as the Middle East or North Africa. For example, Agadir (Morocco) is one of the most thriving regions in Africa, where Protec Arisawa will supply the future Agadir desalination plant with the most modern technology in pressure vessels for filtration pre-treatment systems and reverse osmosis. Once it is completed, this facility will be the biggest desalination plant in Morocco, largely contributing to ensure drinking water supply and water security for local inhabitants, further helping the development of tourism and agricultural industries, the main economic drivers of this region. 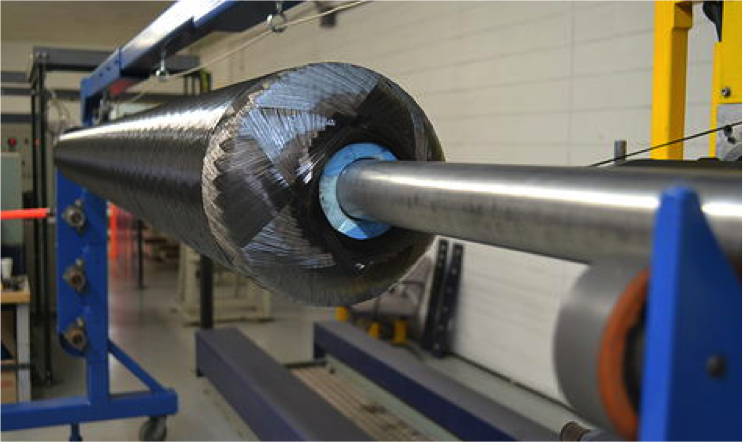 Winding, reeling or coiling filaments in cylindrical shapes is an effective fabrication technique to create complex structures made from composite materials. The process is as brilliant as it is simple: the main operation consists in winding tightened filaments or stripes (previously impregnated in thermosetting resin) around a core cylindrical mold or a chuck. Rotation control is the key: the chuck usually turns on itself as the lorry carrying the fibers moves horizontally, setting materials around the mold in the requested pattern. The most common and effective system currently uses carbon or glass fibers receiving a synthetic resin coating while winding. Once the rotating chuck is completely covered and the desired thickness has been reached, the part is transferred into special ovens in order to solidify the resin (curing phase). Mastering control parameters in this step of production is essential when it comes to guarantee the highest quality standards in all built parts, according to their future applications. When the resin is finally cured and steady, withdrawal of the chuck concludes the process. The result is a hollow part perfectly shaped, designed for a specific use and fabricated following customer’s exact requirements. Resulting parts are generally cylindrical products such as pipes, chemical and fuel storage tanks, stacks, motor cases, masts, and of course pressure vessels. Apart from being a highly customizable production method, filament winding processes are totally adapted to automation, mostly due to the capacity of controlling filament’s tension and stress. Fibers applied at higher tension result in final products with increased rigidity and strength, while lower tension allows greater flexibility. The orientation of these ‘magic’ filaments must be also carefully controlled so different layers can overlap in the right way, that means in the opposite direction from previous coats. The angle set in the application of lower layers will determine the properties of the finished part. Once again, various aspects can influence the final result. A higher angle will offer more resistance to compression and a pattern with lower angles (known as closed system) will provide an amplified resistance to traction. Structures requiring high physic properties and a considerable degree of resistance are made out of epoxy resin, while cheaper polyester resin works just fine for most extended applications. This huge range of materials embraces a long spectrum of high-tech qualities that fit seamlessly with essential requirements in high pressure vessel manufacturing. Over 40 years of experience in composite filament winding confirm Protec Arisawa’s expertise in the organization and production of sophisticated technical solutions for many industrial sectors. Pressure vessels production techniques have no secret for the world leader in high-pressure vessels for desalination processes. Working on these complex materials and techniques raises practical challenges that are often seen as innovating opportunities by Protec’s engineers: all new designs and any change in design follow the testing path required by ASME. With leading industrial facilities in USA and Europe, Protec Arisawa is now pursuing efforts to expand the company’s field of action to more mainstream markets and applications. Fiber reeling production allows adaptability to practically any area. At this point, seawater desalination techniques are increasingly playing a decisive role as an alternative source of water. More than 300 million people around the world rely on desalinated water for their daily needs. In 2015, the United Nations Report about hydrographic resources underscored that almost 75% of the population in the Arabian Peninsula is in fact living in a constant water scarcity situation, considering 1,000 cubic meters per inhabitant and year as an established global key figure to guarantee optimum conditions for sustainable growth of this area. In the United States for example, on average each person uses far more than 2,000 cubic meters a year. In most cases, hard climatic conditions and disparate possibilities to access water are only the first obstacles to implement an efficient, viable and reliant water supply program that must satisfy the basic needs for the expanding population of the XXIst century metropolises in the Persian Gulf. Located in an extremely dry climate zone with relatively easy access to seawater, this part of the world has been a groundbreaking area in desalination techniques and proceedings. It is no coincidence that the two leading countries in desalination capacity are Saudi Arabia and the United Arab Emirates, and more than half of the global desalination plants are operating in the Middle East. All projects are unique in this area. In a geopolitical context marked by different political, economical and social systems, the scale and extension of construction works relies on multiple factors. Nevertheless and according to UN studies, the actual challenge for this sensitive area consists in reducing the generalized oil dependence that rules the thermal technology traditionally used in this region to ensure drinkable water availability thanks to the sea. As innovation is Protec Arisawa’s natural medium, this global leader in creating and fabricating fiber reinforced plastic pressure vessels for membrane filtration systems –commonly used in advanced desalination processes– is playing its part. By replacing old thermal seawater treatment systems (both MSF and MED) by reverse osmosis technology, Protec’s contribution to sustainable development in the region with most overexploited aquifers in the world can’t be neglected. For instance, Protec Arisawa will produce the pressure vessels for Doha Phase One desalination plant in Kuwait. This leading-edge facility will process everyday 270,000 tons of seawater into fresh water, which would ensure covering the daily needs of 900,000 people, starting year 2018. This project presents an added technical challenge: the marine region along Kuwait’s coast is notorious for its poor water quality, and its treatment requires complex seawater processing techniques. Protec’s expertise is well known in the Persian Gulf region. Only 100 km south of the Kuwaiti border, the massive Ras Al-Khair desalination plant in Saudi Arabia operates with the best RO pressure vessels in the market. This hybrid facility that implements both multistage flashing (MSF) and reverse osmosis technology is the biggest desalination plant of its kind in the world, capable of supplying approximately 3.5 million people in the capital, Riyadh. In Mirfa (Abu-Dhabi), Protec will provide the membrane housings in a project that will combine existing and new facilities to offer a seawater desalination capacity of 238,635 cubic meters a day. Protec Arisawa will manufacture and supply state-of-the-art equipment both for Doha and Mirfa desalination facilities, in accordance with the engineering standards of the Boiler and Pressure Vessels Code of the American Society of Mechanical Engineers (ASME), section X. Whether it is separating the required element in a complex chemical process or lifting huge loads, pressure is a basic physic phenomenon as simple to comprehend as it is difficult to dominate and control precisely. From a pressure cooker or a simple fire extinguisher to gigantic industrial tanks used to contain explosive fluids, through vessels designed for membrane filtration processes and a myriad of varied applications, pressure containers utilities are present in almost every aspect of our daily life. Due to their special characteristics, risk assessment and security forecast for pressure vessels or equipments are critical aspects in pressure vessel manufacturing processes. Every parameter is crucial when it comes to ensuring security for any kind of application: the choice of materials and production techniques, determined by the design and final function of the pressure vessel, are essential issues. Each container must be designed for its own purpose. For example, champagne bottles are different to the rest of wine bottles: their thickness and shape are specially designed to preserve the bubbles over time. 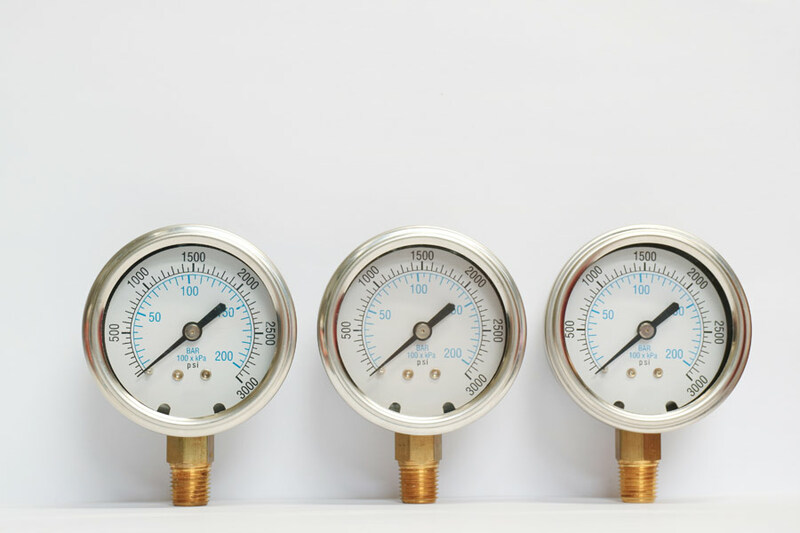 Pressure is a complex phenomenon where control involves studying all imaginable quality standards, and a mistake at any point of the procedure can lead to devastating accidents, in accordance with the latent danger of the application concerned. As is to be expected, a crack in an oxygen bottle is not equally hazardous as a fissure in a nuclear reactor device. It is virtually impossible to entirely eliminate risks when operating or manipulating these types of equipments and devices; therefore it is only natural that a large part of the investment in this sector seeks to reduce risks to a minimum, trying to confine potential consequences and protect people, assets and the environment. Safety certifications and unified norms have become increasingly important key aspects when regulating the long list of characteristics in security and standard matters. The American Society of Mechanical Engineers is possibly the most renowned organization in this area. Founded in 1880 as an engineering company focused on mechanical engineering in the United States in response to a huge number of steam boiler pressure vessel failures, ASME is now a multidisciplinary and global association that gathers over 130,000 members worldwide: their codes and standards make up the core guidelines in terms of security and product classification for a great part of domestic and industrial systems. Protec Arisawa is a company specialized in the production of high-tech pressure vessels for desalination plants. At Protec, 100% of the vessel production is designed and manufactured following the ASME Code, the most widely spread and applied International Safety Standard Regulation upon Fiber Reinforced Plastic Pressure Elements, drawn up specially for fiber reinforced plastic pressure vessels. Before delivery and upon customer’s request, we can affix an ASME Code stamp on Protec pressure vessels and assign each of them a National Board Registration number. When selecting Protec, the customer is choosing the best Reverse Osmosis vessels in the market.